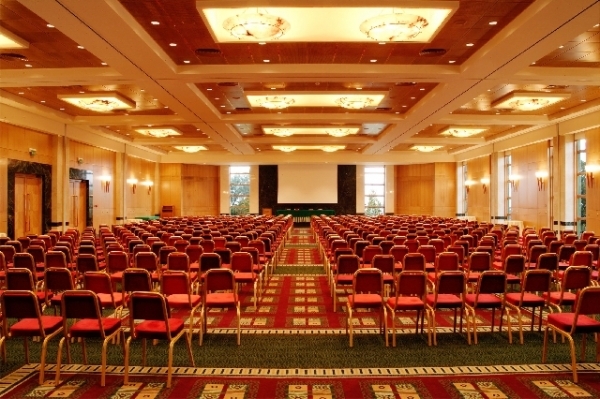 With more than 2,500 m² of available space, most with natural light and an experienced attentive staff, even the most complex meeting or event is guaranteed to be an absolute success. The newest Convention Center of the luxurious DIVANI APOLLON PALACE & SPA, “ARISTOTELIS DIVANIS” can accommodate up to 1,200 delegates. The endless blue of the sea and beautiful natural surroundings of the Hotel make an ideal backdrop for any special event. The haute cuisine and breathtaking views to Kavouri Bay make for a unique dining experience at the magnificent “Mythos of the Sea” Restaurant. 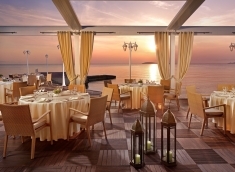 Located on the beach in front of the DIVANI APOLLON PALACE & SPA, the “Mythos of the Sea” restaurant radiates a romantic ambiance surpassed only by the exquisite cuisine. On the second evening of our Conference, the Networking Cocktail Reception will be held at the Roof Garden of the Royal Olympic Hotel, just opposite the ancient temple of Olympic Zeus, with a magnificent view to the Acropolis and Lycabettus hill, and only a few meters away from Constitution square in the heart of Athens.